The first Elizabeth line train was introduced on June 22, 2017. Credit: TfL. 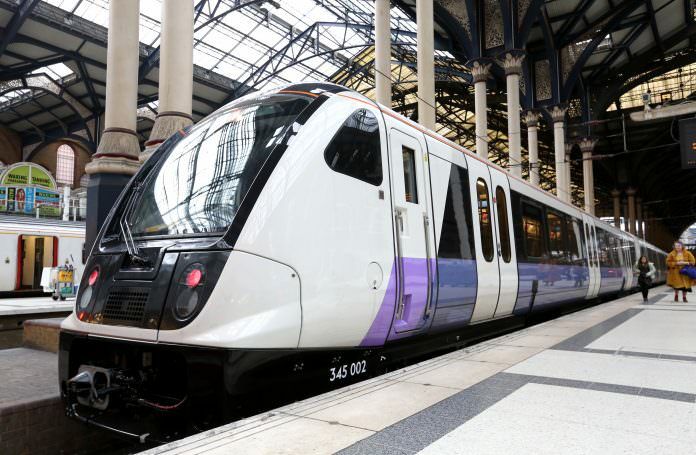 Transport for London (TfL) has said it will have to order four extra Elizabeth line trains as it looks to run more services on the line than initially planned. The improved service frequency has been announced following collaboration with the Department for Transport, Network Rail and train operators to produce a final timetable. To run the additional services, TfL said the number of trains operating on the Elizabeth line will increase from 66 to 70 trains. As a result, TfL plans to exercise an option in its contract with Bombardier for four extra Class 345 EMUs. Off-peak services between Paddington and Whitechapel will be increased from 16 to 20 trains per hour, an extra two trains per hour will run between Paddington and Shenfield and a further two off-peak trains per hour will be introduced between Paddington and Abbey Wood. Services from Paddington to Reading will be doubled from two to four trains per hour and services from Paddington to Maidenhead will increase from four to six trains per hour. The increased service frequency will be achieved, in part, by replacing five Great Western Railway services with Elizabeth line trains. Six trains an hour will also call at Heathrow Terminal 5 from December 2019 – meaning all Heathrow Terminals will be served by the Elizabeth line. London’s Transport Commissioner Mike Brown said: “We want to deliver the very best service for customers from day one of the Elizabeth line. “The timetable improvements that we have been developing ahead of full opening of the line in December 2019 will see additional services to destinations west of Paddington, including Reading, Maidenhead and Heathrow Terminal 5, as well as increased off-peak frequencies in central London. The new Elizabeth line map. Over the moon with the order of extra EMUs as well with Crossrail serving Heathrow Terminal 5.